Well it was a chilly and blustery stray that greeted the fabulous Elizabeth JACKSON and I just before 8. To find a route around the plants and (most of) the mud that we get this time every year. I've come to the conclusion that mud is very much like Marmite. No I haven't been eating the Stray ! I mean you either love it or hate it....either way if you love it make the most of it as spring and a dry course is on it's way and If you hate it just take the opportunity to get a bit of parkrun touring in. So the course was measured and this weeks superstar team of vlounteers assembled. Thanks a million to :Adam ATKINSON • Ashleigh BURNS • Charles CASEY • Daniel VENTRESS • Dave TAIT • David STANIER • Debbie DILASSER • Dennis RICHARDS • Donald MORGAN • Elizabeth JACKSON • Elizabeth SANDELL • Fiona BARKLEY • Jackie HILL • Jay NORTON • Kevin VINE • Mark GIBSON • Matt PAXTON • Matthew WILKINSON • Michael LINDLEY • Sarah KELLY • Sharon Elizabeth HARDCASTLE you were all fabulous. On to the run briefing and it was time to present the, money cant buy, super fabulous, 2016 Points competition winner prize mugs. Huge congratulations go to Sue Simpson and Adam Atkinson pictured post run with their prizes. The crocus avoidance route did mean a bonus corner in order to get your full 5000 meters in. So after a stroll from the bench it as 3,2,1 Go! This weeks first finishers were Nic SMITH for the men and Carol WILLIAMS great running guys. Here is Nic speeding his way to corner one (or was it corner two this week ?) Carol was so fast i missed her,oops. Milestones. This week its a huge congratulations to George MILLS who join's the 10 club, Gareth CONKLETON gets his 50th parkrun done and Monica WEBBER has clocked up her 100th parkrun well done all of you. And that's it for this week except for a few reminders. Have a fabulous week, Alex is at the measuring wheel next week. In Case of Emergency - Please double check that your emergency contact details are complete and up to date on your parkrun profile. You'll find a link to your profile on your weekly results email and newsletters or via this How can I access my profile / account? link. It only takes a few moments, put could really help us to help you if and when you most need it. 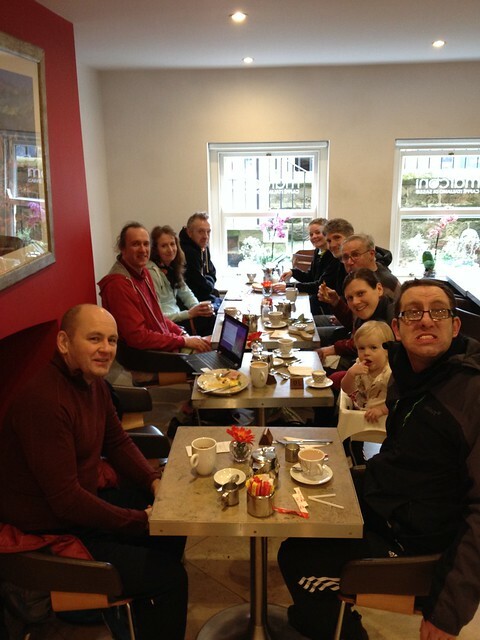 Post run refreshments - Join us at Caffe Marconi (2 Princes Square) each week after parkrun to catch up, process the results, have a coffee and a good old chat. 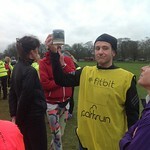 The food and drinks are great and Sarah and her team are huge fans of parkrun! It's good fun and you can even get your result early! Barcodes - Is your printed barcode looking tired or not scanning easily? There are a range of tough and durable plastic parkrun barcode ID tags and parkrun wristbands available via http://www.parkrun-barcode.org.uk/ These are the only UK authorised and professionally printed tags and feature the parkrun branding and logo, your athlete details and can also be personalised with your ICE (In Case of Emergency) telephone number and additional information including specific medical details. They come in a range of options and can be attached to a key ring, laces, and running vest zip or worn on a lanyard. Volunteering - We do ask that each of you, if possible, volunteer 3 times over the year. It is thanks to our great volunteer teams that parkruns around the world continue to happen every Saturday. Harrogate is no exception and without your kindness we would not be able to put on this wonderful free event. If you would like to help out please visit http://www.parkrun.org.uk/harrogate/volunteer/ for more information or talk to anyone in a yellow vest on parkrun day and then email us at HarrogateHelpers@parkrun.com to get involved. Nic SMITH (VM35-39) (Unattached) was first over the line in 18:17 - second time in 5 appearances. Stephen ELLISON (SM25-29) (Unattached) was second over the line in 18:53 - has been first to finish on 11 previous occasions. Adam KIRK (SM25-29) of Nidd Valley Road Runners, was third over the line in 19:01. Tim FOX (Unattached) 566 pts. Ian HESFORD (Unattached) 483 pts. Geoffrey HIRST (Harrogate Harriers & AC) 479 pts. 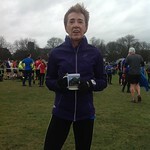 Carol WILLIAMS (VW35-39) (Unattached) was first (24th overall) over the line in 22:00 - first appearance. Carol MORGAN (VW40-44) of Nidd Valley Road Runners, was second (29th overall) over the line in 22:18 - was first to finish once before. Alison SMITH (VW40-44) of North Shields Polytechnic AC, was third (32nd overall) over the line in 22:28. Sharon Elizabeth HARDCASTLE (Unattached) 596 pts. Katie RIGBY (Unattached) 558 pts. Sally ABBOTT (Unattached) 411 pts. Martin LOFTHOUSE (VM45-49) was graded 75.95% for the time 19:16 (4th overall). Sue SIMPSON (VW55-59) was graded 73.73% for the time 24:33 (74th overall). Jackie MITCHELL (VW55-59) was graded 73.13% for the time 25:48 (99th overall). 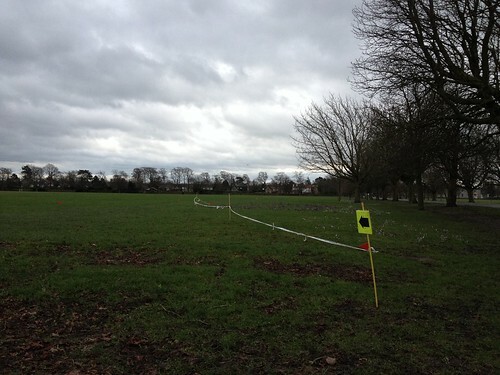 This week there were 267 runners, of whom 28 were first timers and 16 recorded new Personal Bests. Representatives of 20 different athletics clubs took part. 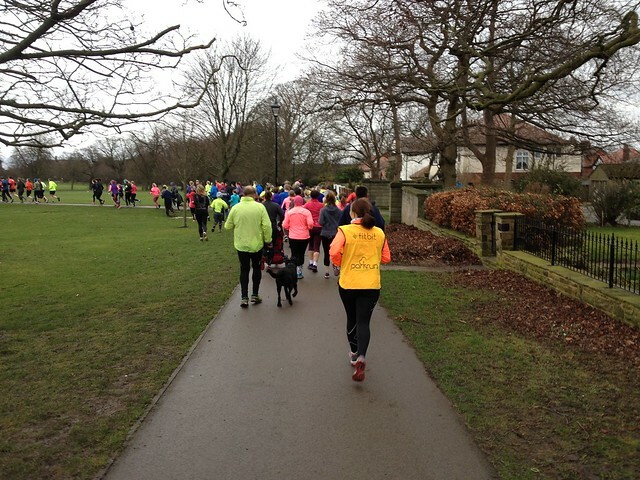 Harrogate parkrun started on 21st January 2012, and since then 9,423 different runners, including participants from 549 athletics clubs, have completed 72,083 runs covering a total distance of 360,415 km, and there have been 13,189 new Personal Bests. The female record is held by Rosie SMITH who ran in a time of 00:17:28 on 3rd October 2015 (event number 196). 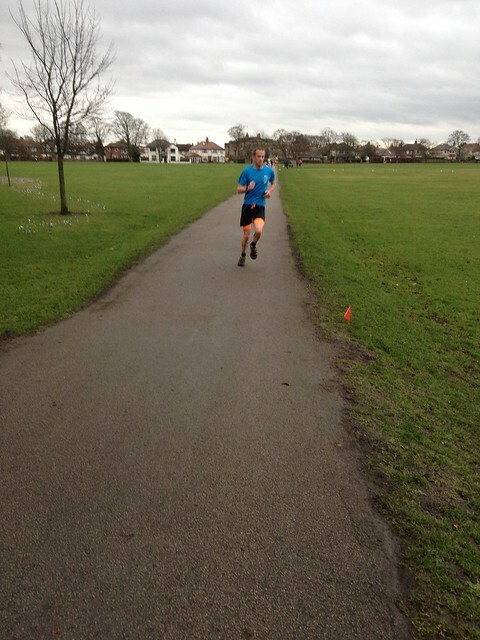 The male record is held by Mike BURRETT who ran in a time of 00:15:46 on 27th July 2013 (event number 81). The Age Grade course record is held by Ben GRANT who recorded a 89.30% run (19:19) on 23rd July 2016 (event number 239).